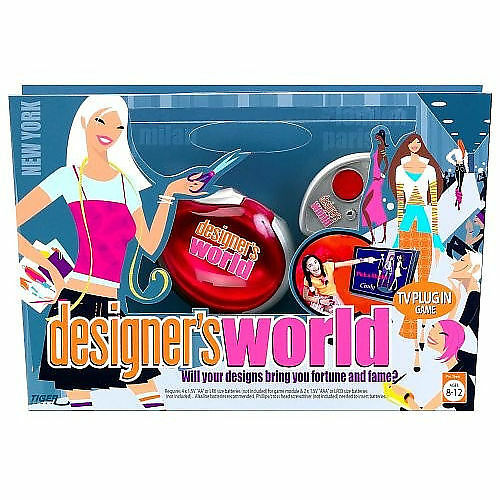 My Family Fun - Designers World TV Game Fun plug-and-play game ! 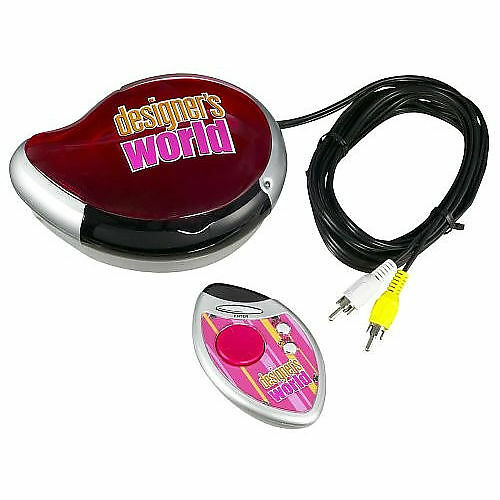 This new plug-and-play TV game allows girls to choose which fashion show to enter and create their own detailed clothing line from a variety of fabrics, colors and wardrobe pieces. Pick your fabrics and colors. Choose your runway models. Present your line to judges at fashion shows in Paris, New York, Tokyo and Milan. Turn your clothes sense and business know-how into a fashion empire that wins you fortune and fame! Fun plug-and-play game lets you seek fame and fortune in the world of high fashion - right on your TV (not included)! Console requires 4 "AA" batteries (not included). Remote requires 2 "AAA" batteries (not included). 1 player. Ages 8 and up.